"Amerindian artist Bernard Xolotl is an international painter and musician. In the late 60s he left France for Germany and Switzerland. He was then working with Terry Riley, Tony Conrad, La Monte Young...in Switzerland were Timothy Leary...Manuel Gottsching (Ash Ra Temple), Lutz Ulbrich (Agitation Free)...it was an incredible moment, when all this dream team was about to lead the incredible Cosmic Jokers project...Bernard Xolotl left Europe some months later for San Francisco, performing and recording his music in his incredible home studio. From his label Syntasy he released many tapes from his recordings and artwork. 20 years later he reappears for some days on our European continent...his music is wonderful and it is now rereleased on Spalax." 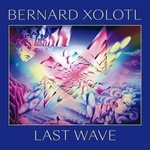 Recorded using various keyboards and guitar, synthesizers, Roland and Korg vocoders, Tibetan percussion, etc., Xolotl has produced masterful cosmic space music. 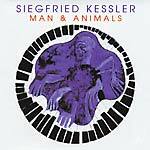 Perhaps not as deep as Klaus Schulz's greatest works, but in a similar vein. More obscure than you would expect.